GLADSTONE CINEMA – COME AND GET YOUR GAME ON! 29 Nov GLADSTONE CINEMA – COME AND GET YOUR GAME ON! Gladstone Cinema is proudly family owned & operated. The cinema complex located on Dawson Highway features six general admission theatres and one gold room. Gladstone Cinemas Melissa Noe said the cinema has some great new film coming with some able to showcase the cinemas 3D movie capabilities. Watch this space for more about the Gladstone Cinema’s New Membership Club launching soon! “Big Screen Babies’! is back! There will be a range of movies for adults and children available at Big Screen Babies sessions which will be scheduled on various days. These movie screenings are especially for parents to bring their young children, without worrying about upsetting other patrons. The sessions will be clearly advertised so everyone in there will know that small children will be present, and they may be making some noise. These sessions will run during school term time only. 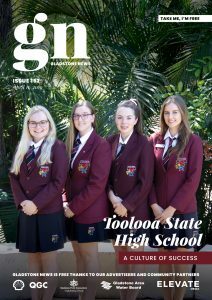 This brand-new initiative has developed from a partnership between Australian National Theatre Company with cinemas all over Australia to bring the experience of live theatre to regional areas. The Live Theatre Cinema session will see a stage play shown on the big screen at Gladstone Cinema. Keep an eye out for Live Theatre Cinema session times in the future. and a movie all in one. A much more intimate theatre with comfortable recliner seating, Gold Room packages are a great night out for couples of groups of friends. Game On! At Gladstone Cinema offers arcade experience for all ages. From shooting hoops to shooting Jurassic Park dinosaurs there are games for all ages and abilities. There is a merchandise area with some cool gadgets for kids to win on the ticketed games. Game On! Has a HAPPY HOUR each afternoon 3.30pm to 4.30pm where you will find discounted games $1 drinks and $2 popcorn. This fun activity for all ages. 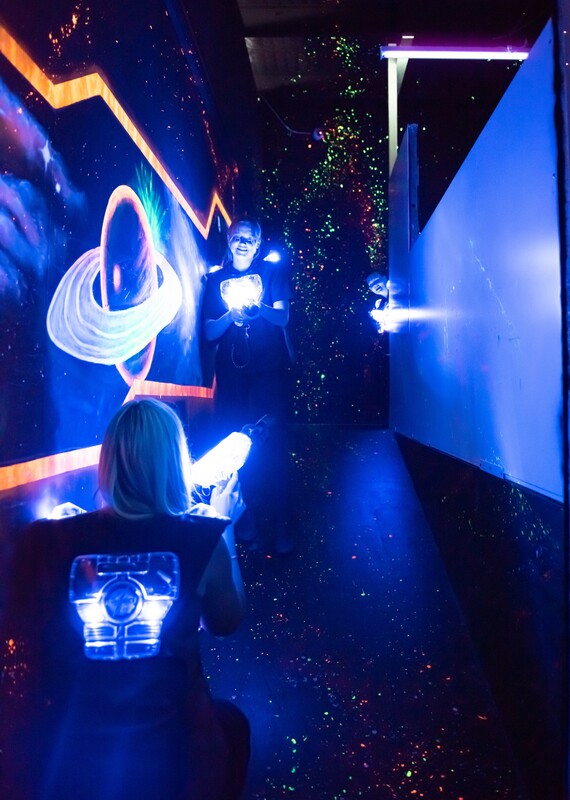 With the latest in Laser Tag technologies, Laser Tag at Game On! Is a great activity for families or groups! The Laser Tag guns fire infrared beams. Players wear infrared sensitive targets and aim to complete a set mission! This is a great activity for birthdays, team building or just for fun! Ask Gladstone Cinemas about their Movie Vouchers – the perfect gift for any age!